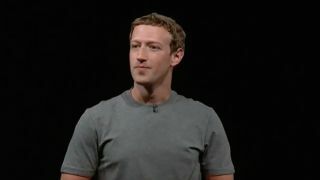 Facebook CEO Mark Zuckerberg has made his first public appearance since the revelations that research company Cambridge Analytica had harvested data from 50 million Facebook users without their permission. "This was a major breach of trust and I'm really sorry that this happened," Zuckerberg told CNN, reiterating a statement published on his own Facebook page earlier in the day. "We have a basic responsibility to protect people's data, and if we can't do that then we don't deserve to have the opportunity to serve people." Facebook is facing investigation from organizations around the world, including the US Federal Trade Commission and the British Information Commissioner's Office, but Zuckerberg chose not to comment on any third-party investigations – instead focusing on what Facebook itself is doing to avoid future data loss – or identify any other breaches that have already happened. "We are doing a set of things to restrict the amount of access that developers can get going forward, but the other [thing] is that we need to make sure that there aren't any other Cambridge Analyticas out there, or folks who have improperly accessed data," Zuckerberg said. "We're going to go now and investigate every app that has access to a lot of information from before we locked down our platform, and if we detect any suspicious activity we're going to do a full forensic audit and make sure that nobody out there is improperly using data, and that, I think, is the responsibility that we have to people in our community." The 'lockdown' Zuckerberg referred to happened in 2014, when Facebook removed the ability for third-party apps to access data from users' friends. Unfortunately, as it recently discovered, not all developers deleted the information they'd collected in this way, or stopped using it.